Teaching nineteenth-century literature: aims and challenges. 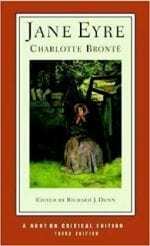 Teaching Brontë and Dickens: approaches, experiences, and issues. Teaching film: best practices; when it works and when it doesn’t. Rethinking the role of adaptations in the literature classroom. Following the seminar, we will have a group lunch courtesy of the Friends of the Dickens Project. After lunch, there will be a tour of campus with a focus on facilities. Wear comfortable shoes! Jennifer Green-Lewis, “At Home in the Nineteenth Century: Photography, Nostalgia, and the Will to Authenticity.” Victorian Afterlife: Postmodern Culture Rewrites the Nineteenth Century. Ed. John Kucich and Dianne Sadoff. Minneapolis: U of Minnesota P, 2000. Hillel Schwartz, The Culture of the Copy. New York: Zone Books, 1996. 304-319. Imelda Whelehan, “Adaptations: The Contemporary Dilemmas.” Adaptations: From Text to Screen, Screen to Text. New York: Routledge, 1999. 3-19. Dudley Andrew, “Adaptation.” Film Adaptation. Ed. James Naremore. New Brunswick: Rutgers UP, 2000. 28-37. Sandra Gilbert, “A Dialogue of Self and Soul: Plain Jane’s Progress” (Norton, 483-91). Jerome Beaty, “St. John’s Way and the Wayward Reader” (Norton, 491-503). Lisa Sternlieb, “Jane Eyre: Hazarding Confidences” (Norton, 503-515). Beth Wilson, “Teach the How: Critical Lenses and Critical Theory.” The English Journal4 (March 2014): 68-75. John Jordan. “Jane Eyre and Narrative Voice.” Approaches to Teaching Jane Eyre. Ed. Diane Long Hoeveler and Beth Lau. New York: MLA, 1993. 76-81. 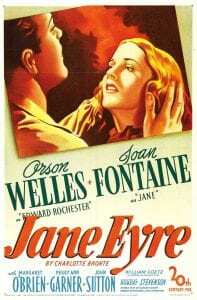 Jane Eyre (1944). Screenplay by Aldous Huxley and John Houseman. Directed by Robert Stevenson. Starring Orson Welles, Joan Fontaine, and Elizabeth Taylor. Emily Allen and Dino Felluga. “Jane Eyre: Now and Forever; or, the Strange Afterlife of Gothic.” Romanticism on the Net 34-35 (2004): 25 pars. 4 Jan 2008 <http://www.erudit.org/revue/ron/2004>. Kate Ellis and E. Ann Kaplan, “Feminism in Brontë’s Jane Eyre and Its Film Versions.” Nineteenth-Century Women at the Movies: Adapting Classic Women’s Fiction to Film. Barbara Tepa Lupack. Bowling Green, OH: Popular, 1999. 192-206. Andre Bazin, “Adaptation, or the Cinema as Digest.” Bazin at Work. Ed. Bert Cardullo. Routledge, 1997: 32-40. Margaret Goscilo, “Jane Eyre and Pictorial Representation.” Approaches to Teaching Jane Eyre. Ed. Diane Long Hoeveler and Beth Lau. New York: MLA, 1993. 97-103. Kapurch, Katie. “Melodrama, Power, and Girl Culture.” Victorian Melodrama in the Twenty-First Century. Jane Eyre, Twilight, and the Mode of Excess in Popular Girl Culture. New York: Palgrave, 2016. 1-39. Teale, Polly. “’Distilling the Essence’: Working with Shared Experience.” New Theatre Quarterly3 (2015): 213-22. Davis, Mary Ann. “On the Extreme Brink with Charlotte Brontë: Revisiting Jane Eyre’s Erotics of Power.” Papers on Language and Literature2 (2016): 115-48. Lawrence Venuti, “Adaptation, Translation, Critique.” Journal of Visual Culture1 (2007): 25-43. Barbara Schaff, “The Strange After-Lives of Jane Eyre.” A Breath of Fresh Eyre: Intertextual and Intermedial Reworkings of Jane Eyre. Ed. Margarete Rubik and Elke Mettinger-Schartmann. Amsterdam: Rodopi, 2007. 25-38. As we bring our first week to a close, we’ll want to focus particular attention on the ways in which we can incorporate adaptations into the classroom. We’ll be joined by three high school teachers who have used adaptations-based activities successfully in their classrooms: Alexa Garvoille, Shelley Karren, and Lingerr Senghor. Alumni of previous NEH Summer Seminars, Alexa, Shelley, and Lingerr will talk to us about how their seminar experience reshaped their teaching and how they found ways to incorporate what they gleaned from the seminar into various types of activities. As this is a roundtable discussion/workshop, I will invite those of you who have used adaptation-based activities in the past to share what you’ve done and how it has worked. Examples of unit plans, assignments, and rubrics are welcome, and they can be uploaded to our shared Dropbox drive. I’m hoping this lively and information-packed session will generate lots of ideas for your final seminar projects. It should also give you some preliminary ideas about how you might make use of the library materials we’ll see during Monday’s visit to Special Collections. It promises to be an exciting and idea-filled end to our first week! Caroline Rody. “Burning Down the House: The Revisionary Paradigm of Jean Rhys’s Wide Sargasso Sea” (Norton, 515-22). Donna Marie Nudd, “The Pleasure of Intertextuality” (Norton, 522-29). Antoinette Burton, “Recapturing Jane Eyre: Reflections on the Colonial Encounter in Victorian Britain.” Empire in Question: Reading, Writing, and Teaching British Imperialism. Ed. Antoinette Burton (Duke UP: 2011), 174-83. 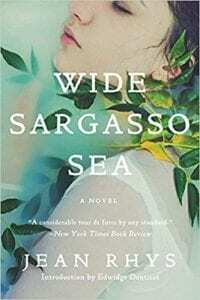 Susan Arpajian Jolley, “Teaching Wide Sargasso Sea in New Jersey.” The English Journal 94.3 (Jan. 2005): 61-6. The librarians will show us some of the more interesting and relevant items from their nineteenth-century and Dickensiana collections. Building on last Friday’s pedagogy roundtable, we’ll talk about ways you can use these—and other—archival materials in your own classrooms. Wheatley and J. Whatley. “Gender Politics and the Gothic in Hitchcock’s Rebecca.” Gothic Studies 4.2 (2002): 133-44. Tamar Heller. “Jane Eyre, Bertha, and the Female Gothic.” Approaches to Teaching Jane Eyre. Ed. Diane Long Hoeveler and Beth Lau. New York: MLA, 1993. 49-55. Julie Sanders, “What is Adaptation?” and “What is Appropriation?” Adaptation and Appropriation. New York: Routledge, 2006. 17-41. After we wrap up our discussion of Jane Eyre, we will examine some relevant digital resources and discuss how these might be incorporated into various classroom situations. We will also look at some of the digital tools for creating and sharing adaptations, and we’ll discuss ways students can use these tools to create their adaptations as part of creative assignments. 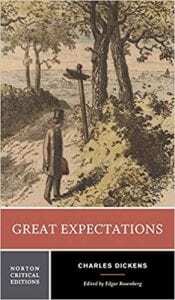 Joe Bucolo, “Stay Tuned for Our Next Episode: Teaching Great Expectations in Installments.” The English Journal2 (Nov. 1999): 33-39. Following lunch, please join me for an interactive workshop, “My Best Success.” During this workshop everyone will have an opportunity to share their most successful assignment or activity and tell us about how they make it work so brilliantly in their classrooms. The workshop is optional, so if you need the time to go to the library, work on your seminar project, or catch up on your reading, that’s ok (but please do consider coming and contributing to what should be a very productive discussion of teaching tools that work). Julian Moynahan, from “The Hero’s Guilt: The Case of Great Expectations.” (Norton, 654-63). In honor of the holiday. I’m hosting a group BBQ at my house. All are invited! Jane Baston, “Word and Image: The Articulation and Visualization of Power in Great Expectations.” Literature/Film Quarterly 24 (1996): 322-31. Brian McFarlane, “David Lean’s Great Expectations: Meeting Two Challenges.” Literature/Film Quarterly 20 (1992): 68-76. Robert Stam, “Beyond Fidelity: The Dialogics of Adaptation.” Film Adaptation. Ed. James Naremore. New Brunswick: Rutgers UP, 2000. 54-76. Thomas Leitch, “Literature versus Literacy.” Film Adaptation and Its Discontents. Baltimore: Johns Hopkins U P, 2007. 1-21. Casetti, Francesco. “Adaptation and Mis-Adaptations: Film, Literature, and Social Discourses.” A Companion to Literature and Film. Ed. Robert Stam and Alessandro Raengo. Oxford: Blackwell, 2004. 81-91. The first eight volunteers will present brief overviews of their final projects. This will be a great opportunity to get early feedback from your colleagues, feedback that will help you further develop and improve your project. Jay Clayton, “Is Pip Postmodern?” Charles Dickens in Cyberspace: the Afterlife of the Nineteenth Century in Postmodern Culture. Oxford: Oxford U P, 2003. 146-65. Joe Bucolo, “’Survivor: Satis House’”: Creating Classroom Community while Teaching Dickens in a Reality-TV World.” The English Journal5 (May 2011): 29-32. Four volunteers will present brief overviews of their final projects. This will be a great opportunity to get early feedback from your colleagues, feedback that will help you further develop and improve your project. Holt, Shari Hodges. 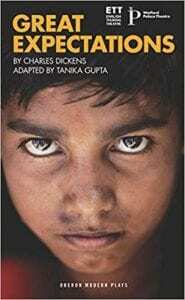 “Dickens from a Postmodern Perspective: Alfonso Cuarón’s Great Expectations for Generation X.” Dickens Studies Annual 38 (2007): 69-91. 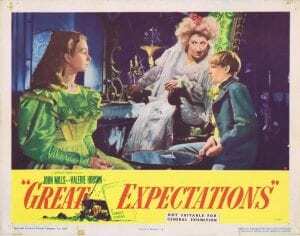 Michael Johnson, “Not Telling the Story the Way It Happened: Alfonso Cuarón’s Great Expectations. Literature/Film Quarterly 33 (2005): 62-78. The final four volunteers will present brief overviews of their final projects. This will be a great opportunity to get early feedback from your colleagues, feedback that will help you further develop and improve your project. Beyond our two core texts, where/how might we use the ideas and approaches we’ve developed over the past three weeks? 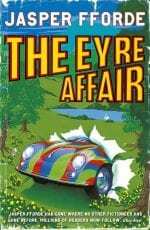 How has the seminar changed your ideas of literary “classics” or of adaptations? What are your most important “take aways” from this month? Looking ahead, what are your next steps in building on the ideas we explored in this seminar? How will you share the core concepts and materials of the seminar with your students and colleagues? NEH Summer Scholars are invited to attend all or part of the 2019 Dickens Universe. The registration fee has been waived as part of your seminar membership (attendees are responsible for their own room and board during the Universe week). The Universe week includes lectures by international scholars of Dickens and nineteenth-century literature, discussion of Dickens with Dickens enthusiasts from around the world, and assorted fun activities (Victorian teas, dramatic readings, films, a Victorian dance, etc). There will also be a 4-day workshop on teaching Dickens, specifically designed for high school teachers. It’s a great week of scholarship, collaboration, and frivolity. I highly recommend it (I’ll be staying on for the full week). This year’s text is Barnaby Rudge.